“The Acoustic Samples Guitar Bundle” is a collection of three classic guitars that have been deeply sampled and lovingly scripted to be as intuitively musical and playable as possible. Each guitar has it’s own highly distinctive sound and lend themsleves well to many music genres including Rock, Pop, Folk, and Underscore! 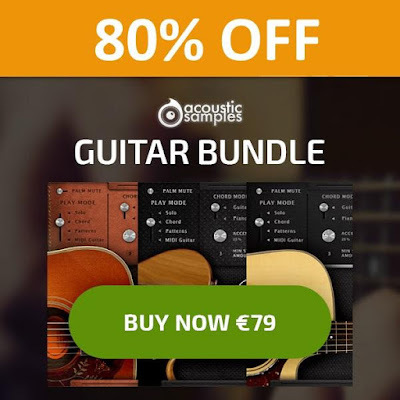 “The Acoustic Samples Guitar Bundle” is a collection of three classic guitars that have been lovingly recorded and scripted to bring you the most playable virtual guitar instruments ever in one insanely priced bundle! All of these products use the free UVI Workstation and don’t require any other software to function!